Promo Massagers work in business promotional activities. We manufacture custom massagers with precision so they can work effectively and efficiently. 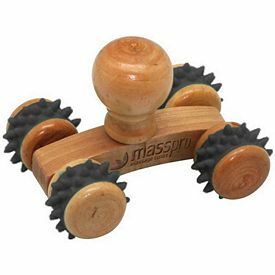 Through their efficiency, our logoed massagers can easily build strong and long term business bonds with customers, clients, suppliers, or distributors. We endorse wide numbers of promotional massagers which are neatly manufactured and guarantee effective performances. If you are thinking of opting for promotional health care products for your business promotion then using our Logo Massagers would impress you or your customers. These are not the regular massagers that we see in local marketplaces. Our company is known for exclusive promotional products and our promotional massagers are no exception. Our custom massagers feature long term services and effective results to the users. Our promotional Star Shape Massager is one of the exclusive massagers that we endorse. 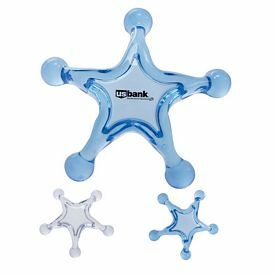 As the name implies, our logoed massagers have a star shape; they look quite unique and are very effective in terms of their performance. 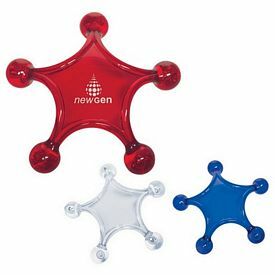 We offer three color options with our customized massagers: red, white and blue. The lightweight executive massagers glide smoothly and provide high class comfort to users. Branded massagers have seamless logo placement and higher logo visibility through quality printing solutions. You can enjoy no setup fees with the logo massagers and free 24 hour rush production services are also available. 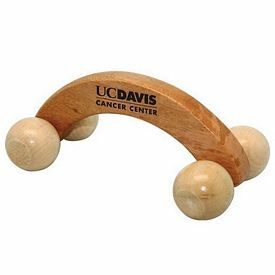 The Promotional Four-Point Massager is basically an H-shaped massager with four rounded balls at the end. Blue and clear are the two available color options for this promotional massagers. Our customized massagers have a free 3 Day rush service available with the logoed massagers, and you can enjoy our no setup fees feature with the logo imprint customized massagers. Our exclusive massagers are effective to reduce stress through providing uniform blood circulations throughout the body. 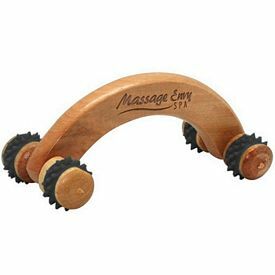 The Promotional Pressure Point Massager from our online catalog features a triangular shape. Our promotional massagers come with four different color options: blue, green, pink, and teal. This Stylish three-point design provides an ultimate satisfactory massage. Free 3 Day Rush services are available with our custom massagers and we also feature no setup fees. Apart from customized massagers, plenty of other options are available for buyers to match their needs and budget.